Engineered system design helps provide long-term operation. Quality factory support and service available. The 3M™ 3MWTS Series Water Softeners treat waster as it enters your home, minimizing the effects of hard water. Benefits include brighter clothing, cleaner dishes, less detergent consumption and less water usage. Helps protect the entire plumbing system. System includes a state-of-the-art valve that allows monitoring and control for every function and cycle. Saves water by metering use and regenerating only when necessary. The multi-level salt support traps direct and debris away from the brine draw area, enabling the use of inexpensive types of water treatment salt and reducing maintenance. The vale includes a bypass assembly for yard and garden watering. The 3M™ Water Softener salt tank features a patented salt shelf that accommodates less expensive types of salt, protects the system from dirt and debris and discourages salt bridging—greatly reducing maintenance. 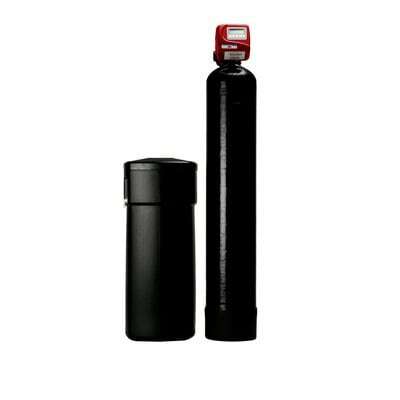 The 3M™ Water Softener uses variable reserve logic to optimize regeneration cycles by evaluating past use. This conserves water, salt and energy, which saves money. The 3MWTS Series softeners have been tested by the Water Quality Association according to NSF/ANSI Standard 44 for the specific claims as verified and substantiated by the test data. The 3MWTS Series of softeners is efficiency rated according to NSF/ANSI Standard 44. These systems have been tested and certified by the Water Quality Association to NSF/ANSI Standard 372 - Evaluation of lead content in drinking water products, materials, and components.